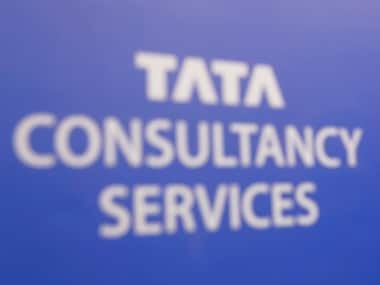 Tata Consultancy Services Ltd (TCS), the country's biggest software services exporter, breached the 3,500 rupee ($52.87) per share mark on Monday for the first time, reaching $100 billion or Rs 6,80,912.10 crore in market capitalisation. Shares of the company on Monday opened at Rs 3,429, rising 4.39 percent to touch an intraday high of Rs 3,557 on BSE. Following the uptick in the counter, the market capitalisation of the company swelled to Rs 6,80,912.10 crore. On NSE, the stock jumped 4.56 percent to Rs 3,557.90. N Chandrasekaran, Chairman of Tata Sons, who was earlier CEO of TCS, was very proud of the company's achievement. He told CNBC TV-18 that the company has enormous potential. People celebrated the milestone of the IT-bellwether by using superlatives. The company's shares had surged a day after its quarterly results announcement on Friday, which reported a net profit for Q4 at Rs 6,925 crore -- up 4.6 percent -- from Rs 6,622 crore in the same period in 2017 and up 5.8 percent sequentially from Rs 6,545 crore a quarter ago.